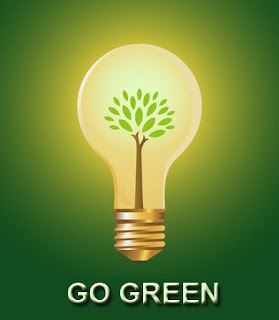 ok these aren't "green" ideas, but after searching for a lightbulb picture for the whole bright ideas concept, I came across this, which is very cool! From TimeInc. Two little tips I thought good enough to share! 1. I hate spending money on completely practical items. If they're pretty or you REALLY need, them, fine, but a salad spinner? No way (how did we manage before it?) A knife sharpener? Nope. Because my dad shared this tip with me aaages ago that my Oma used to do and because I only just remembered it and tried it last night, I thought I'd share. Cause it works! Turn a porcelain plate over and use the rim it sits on to sharpen your knives. I'm assuming you have a plate, so if so it'll cost you zero! And in case you're wondering what I did before to sharpen knives, I'm ashamed to admit I did nothing. They've been blunt for what seems forever - I just seriously worked my arms to cut through! 2. I just posted a nursery tour at mini meez and loved this idea. Instead of buying one sofabed, go for two single ones: it means you still get the couch, but can accommodate two visitors if they're not a couple but can be pushed together as one bed if they are. Clever!